Cuba is the biggest island in the Caribbean and is located at the entrance to the Gulf of Mexico. The warm, clear waters and sandy beaches make this tropical climate perfect for relaxing or diving. The archipelago is made up of 195 islands and covers 110,922 square kilometres. Cuba has 14 provinces, and 169 municipalities, including the Special Municipality of the Isle of Youth. Cuba is a land of salsa music for Cuban people love to dance. You can find salsa bands playing almost everywhere. Reggaeton is also very popular these days and many vintage car drivers love to listen to it as loud as they can. Cuban traditional music is also very much listened to, especially in touristic areas, hotels and restaurants. Cuba is full of musicians that make their living out of tips and selling their home-recorded CDs. For those with a more sophisticated taste, our island boasts one of the best classic ballet companies of the world, though performances are not on regular basis so you better follow them on the entertainment website if you do not want to miss them! If you are an art gallery goer, you will realize that Cuba treasures an array of excellent painters and plastic artists. Handicraft markets also show some very valuable pieces amongst all the many tobacco, mulattas and Cuban landscape themed paintings you will see all around mixed with leather crafted shoes, belts and bags, and other souvenirs. Note that all paintings need to be stamped by the Cultural Heritage official before you leave the country either at the craft market or at the airport. The cost is 3 CUC per item. There are two currencies that circulate in Cuba. Cuban pesos (CUP), which is the official Cuban currency and Convertible pesos (CUC), which is the Cuban substitute for US dollars. 1 CUC = 25 CUP. Only exchange money at CADECAs (Casa de Cambio – Exchange Office in English) or Banks. Do not exchange money in the street under any circumstances. All Banks and CADECAs have currency exchange rates on display and they must provide a receipt to clients. Also, you can see how Cuban banknotes of all denominations look like. 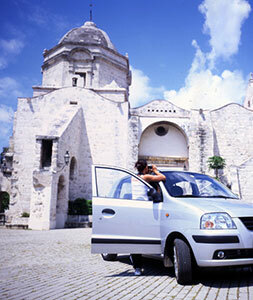 Before travelling to Cuba, it is advisable that passengers inform their banks about their trip, to avoid doubts at the first extraction. Visa card and/or prepaid cash passport are the most recommendable to bring to Cuba. Neither should be with an American based bank. It is important that visitors know that when exchanging U.S. dollar banknotes a 10% tax is applied plus a currency exchange fee (3%). For transactions using credit cards, the cards are charged in U.S. dollars plus an extra 3% fee. For credit cards in currencies other than U.S. dollars, the exchange rate of the day will be applied. The 10% tax is not applied to other currencies, bank transfers, or credit card payments. Always bring some cash with you. The best currencies to bring to Cuba are Euros, Canadian Dollars and Sterling Pounds. You may also bring US Dollars, but note the above mentioned tax will be applied. Only banknotes can be exchanged (no foreign coins) and they should be in perfect conditions. No torn or damaged bills will be accepted. Locations of some Banks & "Cadecas" (ATM) in Cuba. As the saying goes…Cuba is an eternal summer. It is permanently humid, with sea breezes and sunny almost throughout the whole year. A strong sun block and a hat are a must, especially from May to October. This is also when Cuba might be hit by hurricanes and large waves along the coastline. From June to September temperature may raise up to 27 ºC in Havana and 30 ºC on the eastern provinces. Up in the mountains, it is a little bit cooler. So if you are visiting places like Topes de Collantes, take a light sweater with you. During summer, most of the rains and inclement weather occur in the afternoon and usually for short periods of time. When there is a hurricane, cold front, or tropical waves predicted, everyone, including tourists, will be advised well in advance and measures are taken for everyone’s safety. No matter what time of year you travel to Cuba, it is suggested you have a raincoat handy and wear cotton clothes for comfort like locals do. Light cotton clothes are the most recommended. Most places accept casual clothing. In the evenings Cubans dress-up and always look immaculate, but a simple dress or skirt will do. For men, shorts may be forbidden in fancy restaurants and cabarets, and no jeans or sleeveless shirts are accepted in places like Tropicana. Be prepared for slightly cooler evenings. A pashmina or scarf can be a good idea, (also sometimes needed on Viazul buses and some restaurants where air conditioning is often set to freezing). First of all, you need to buy an Internet card. Some hotels have their own Internet cards. You do not need to be a guest at that hotel, but these cards can only be used at that hotel and prices could vary. You can also purchase ETECSA internet cards (also referred as public cards) in every ETECSA office or sales stand and look for a wi-fi hot spot. Cards cost either 1 CUC (valid for 1 hour) or 5 CUC (valid for 5 hours). Some private accommodation or other providers may sell those same cards at a higher price. In order to connect, scratch the grey part on the back of the card. There you will find a user´s code and a password. Activate wi-fi on your cell phone. A WIFI-ETECSA should be listed as available. In many hotels, is the name of the Hotel what appears first. Click to access the ETECSA webpage. Open a browser and introduce user´s code and password. Leave ETECSA´s webpage open so you may close session at the end or deactivate wi-fi on your cell phone. Internet speed in Cuba is usually a lot slower than in most countries. It may also happen that connection is suddenly interrupted. Thus, whenever is possible it is advisable to prepare your text messages while you are offline, then connect and send them. You should consult with your telephone provider before coming to Cuba. If your company does not have a contract with Cuba, then you won´t be able to use your phone here. Also, as you travel away from the cities, the service is poorer till you get to dead zones where you won´t be able to use your mobile phone. Driving in Cuba could be a real challenge due to the lack of street signs, especially on the highway. Avoid driving at night. Most roads are poorly lit and you can run into really bumpy stretches. There´s also the risk of hitting animals on the road for most farms do not have appropriate fences. Though Cuba is a very safe country, picking up strangers on the road is not recommended at all. If you have any problem with your car, call the emergency phone number on the car rental office contract immediately. In case of accidents, call the police number and wait for them. There is been an increase of private restaurants and bars that are displacing government run businesses. Most are really nice, very well equipped and food quality and variety is much better than in government run places. Though, in Cuba many ingredients are hard to find even in the fanciest restaurants, people owning these places really go into a lot of trouble sourcing the best supplies to please their guests. Since the Cuban Government encouraged private business in Cuba, there are a number of improvised food stands all along the streets. Generally, they offer sandwiches, fried snacks, sweets, coffee and refreshments in Cuban pesos. Avoid eating at these places, especially if you have a sensitive stomach and by no means buy homemade fruit juice or refreshments in one of these places. Tap water in Cuba is not drinkable. You should always buy bottled water. Cuba is a very safe destination, especially if compared to other Latin America countries. You can walk around the streets of Havana during daylight and in many areas until very late at night. However, it is advisable to leave valuable objects, including your passport, at the safety box at your hotel. Do not be reckless if you carry a bag or a camera. You should always have them at sight as well as your mobile telephone or any other device like tablets, iPods, etc. Some locals are very soliciting towards tourists. They would also offer any sorts of items or services. Do not trust everyone. Always follow your guide´s advice and if you need anything, address your guide, a LAT staff member, the concierge at the hotel, or the homestay host. Although the power supply in Cuba is mainly 110 volts, most of the modern hotels have dual voltage with all the sockets in the room being 220 volts. The standard frequency is 60 Hz. The sockets in most hotel rooms are cleverly designed so they will take the North American flat 2 pin and the European rounded two pin plugs. All UK or Australian appliances will work in Cuba and all you will need is an outlet adapter. Usually, in the bathroom of hotel rooms there is a 110 volt socket suitable for shavers and charging batteries.